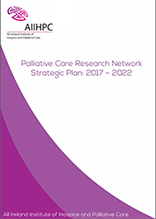 To learn more about the Palliative Care Research Network Strategic Plan (2017-2022) download the full document or to learn how the Strategic Plan was developed click on the Poster available at the following link: Developing the All-Ireland Institute of Hospice and Palliative Care (AIIHPC) Palliative Care Research Network Strategic Plan 2017 – 2022. What are the best ways of providing palliative care outside of ‘working hours’ to avoid crises and help patients to stay in their place of choice? This includes symptom management, counselling and advice, GP visits and 24-hour support, for patients, carers and families? What are the benefits, and best ways, of providing care in the patient’s home and how can home care be maintained as long as possible? Does good co-ordination of services affect this? What are the best ways to make sure that palliative care patients receive adequate pain and symptom relief and which drugs for pain management are best in terms of side-effects, such as drowsiness? What are the best ways for healthcare professionals to tell patients, carers and families that a patient’s illness is terminal and also explain the dying process compassionately and honestly? Can literature, including leaflets, be helpful? Who is the best person to provide this information and communication? What are the benefits of Advance Care Planning and other approaches to listening to and incorporating patients’ preferences? Who should implement this and when? 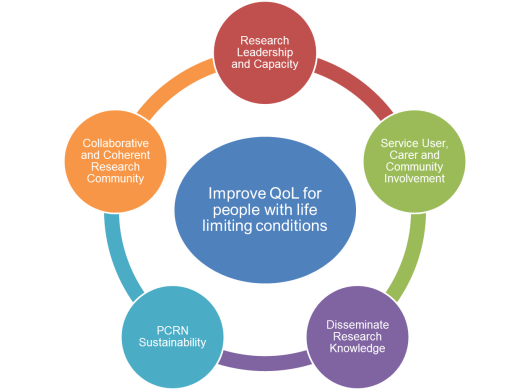 What are the best ways to make sure there is continuity for patients at the end of life, in terms of the staff that they have contact with, and does this improve quality of palliative care? Would having a designated case-coordinator improve this process? What are the best ways to support children and young people when someone close to them is dying or has died? This includes communicating with them about the diagnosis and dying process, enabling them to talk about their experience and providing bereavement support. What information and training do carers and families need to provide the best care for their loved one who is dying? What are the best ways to begin and deliver palliative care for patients with non-cancer diseases (such as COPD, heart failure, MND, AIDS, multiple sclerosis, Crohn’s disease and stroke)? Are hospices, hospitals and care homes providing adequate staff training to deliver specialist palliative care, and to what extent does funding affect this? How can high quality trained staff be ensured no matter where the care is being delivered?